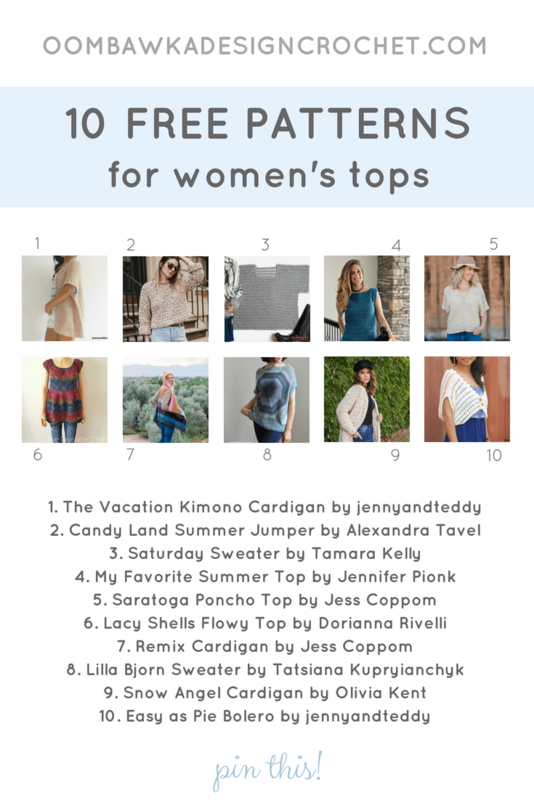 This week’s Free Pattern Roundup includes 10 patterns for women’s tops. This collection includes a variety of pretty tops you can crochet for women. 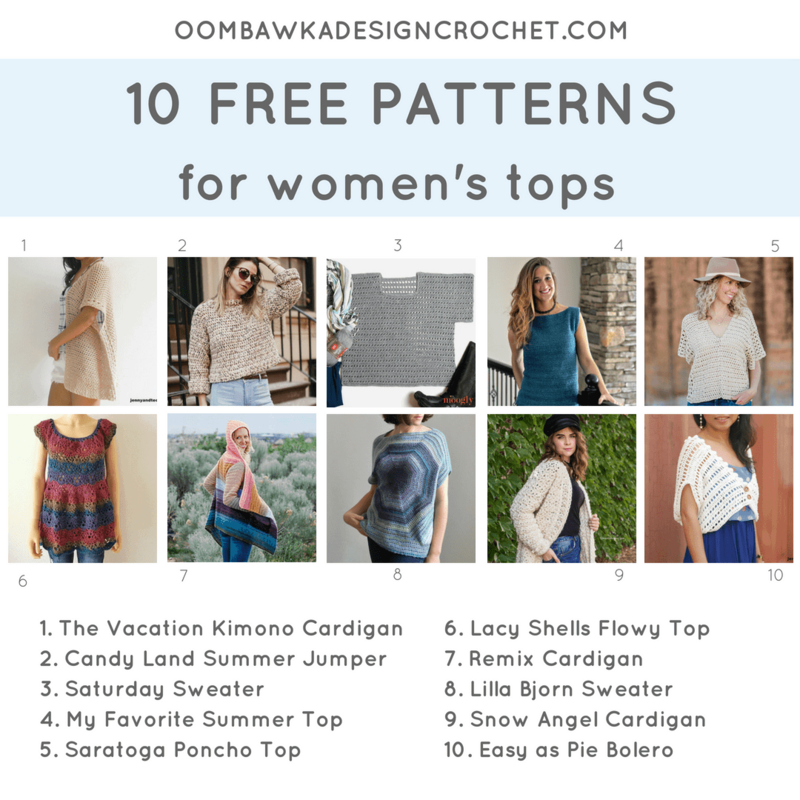 Find crochet patterns for jumpers, boleros, tops, cardigans and lightweight summer tops! All 10 patterns included are available for free. Choose the top you want to crochet from the image below and then click on the title of the pattern listed beneath the image. This will take you to the free pattern. Love the Kimona. I’m dying to try to make one.